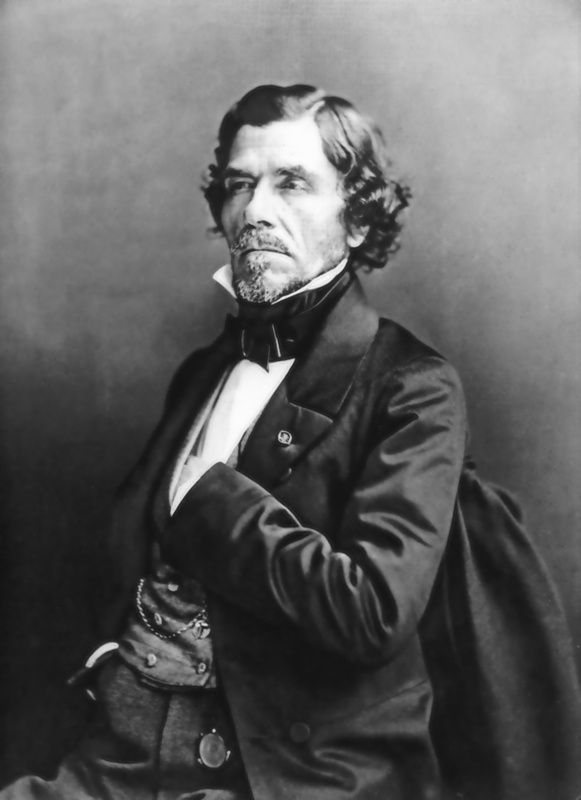 Ferdinand Victor Eugène Delacroix (26 April 1798 – 13 August 1863) was a French romantic artist, influenced by the round and plump figures painted by Reubens, is now most famous for a painting he created titled, Liberty Leading the People. 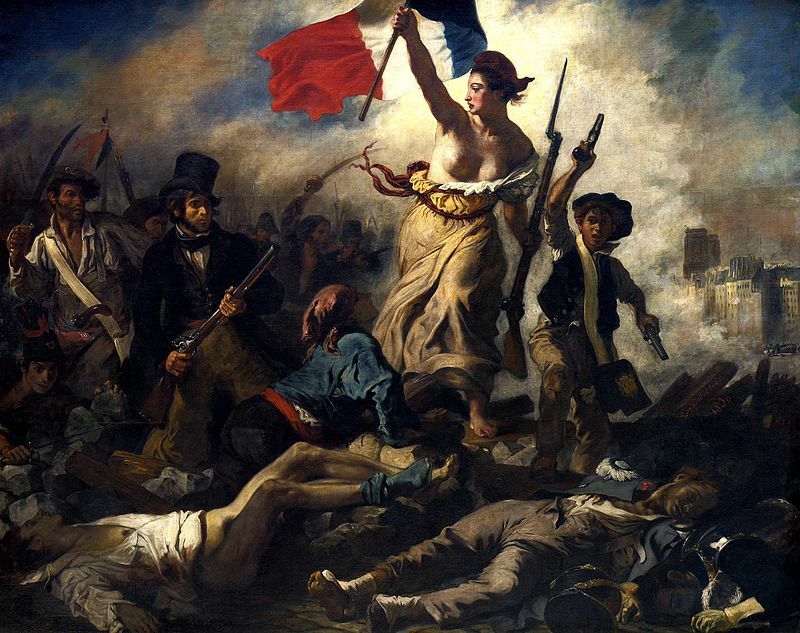 The painting portrays a bare-breasted woman, the allegorical figure of liberty, who carries the Tri-color and leads the French peasants in revolt in 1830 against Charles X. Delacroix’s version of events depicts the peasants as heroic characteristic of his romantic style and in stark contrast to the neoclassical style that was also in vogue at the time. His black granite sarcophagus is modeled after the Roman tomb of Lucius Cornelius Scipio Barbatus. The Scipio sarcophagus was erected around 150 BC. Lucius Cornelius Scipio Barbatus (died c. 280 BC) was one of the two elected Roman consuls in 298 BC. Scipio’s tomb is now preserved in the Vatican Museum in Rome, Italy. 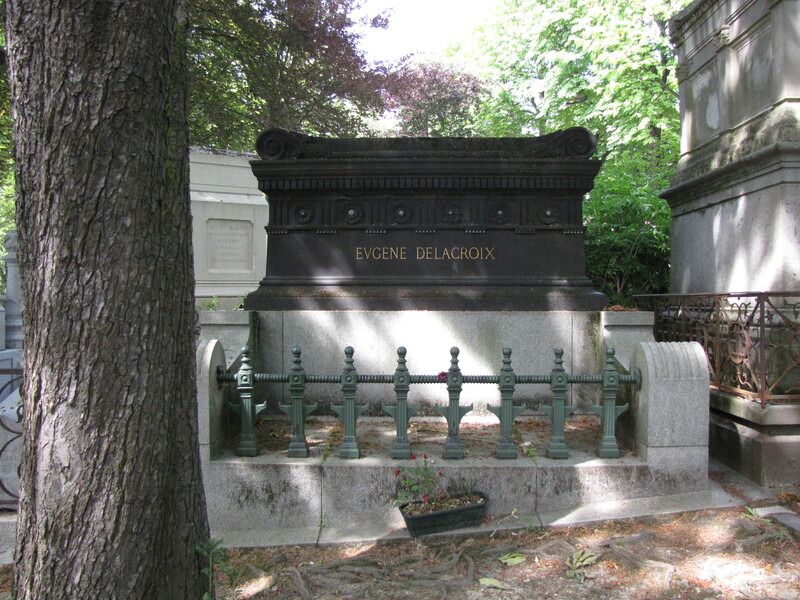 Though Delacroix led the romantic painters into creating a newer style, his tomb is decidedly classical.